Fashion resin beads are worth to purchase to redefine the standard of quality and designs of jewelry and clothes industry. We export superior quality buffalo/ox horn, bone, resin, metal, glass, ceramic beads with other all type fashion jewellery etc, are available at industry leading prices & can also be customized as per buyer's requirements. 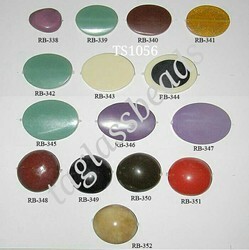 Manufacturer and exporter of Resin Beads of high quality in different designs and colors. It is made up of resin and fully made by hand. These playful resin beads will inspire creativity in all of us! They are lightweight, and add a bold splash of color to your bead jewelry designs without the weight of glass or other heavy materials. 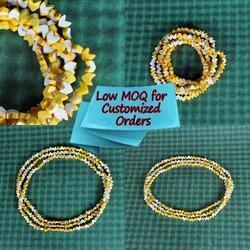 These beads are handmade and will vary in size and color. This product any time available. Monthly quantity production fifty thousands peas. Contact only real costumers. By focusing on variegated demands of our respected clients spread all over the country, we are offering Resin Beads. These beads are hugely useful for handling their diversified business requirements. These beads vary in size, shape, and color also available in different Styles and are suitable for all kinds of jewelry items.